Nintendo's latest earnings report is dire, as sales of both the 3DS handheld and the Wii U console lag far behind the company's initial predictions. According to newly-released financial reports, Nintendo recorded profits of $71.2 million over the course of the last fiscal year. This stands in stark contrast to the estimated $140.9 million in profit that the company believed it might attract. Overall sales were likewise disappointing, standing at only $6.3 billion, despite prior estimates of $6.74 billion (which was itself a revised, more conservative estimate from January of this year). It's not all doom and gloom for The House That Mario Built however. While profits are far less than what the firm expected to see, it should be remembered that last year Nintendo posted a sizable loss of $433 million. So, what's to blame for Nintendo's financial shortcomings? The company blames poor sales of the 3DS handheld and Wii U console. As GamesIndustry.biz points out, the latter device sold a mere 390,000 units over the last quarter - a worryingly low figure given that the Wii U launched in November of 2012. Overall hardware sales seem disappointing as well, with the Wii U only moving 3.45 million units, in contrast to the 4 million Nintendo initially projected. Software sales were likewise disappointing, with only 13.42 million units sold during the prior fiscal year. According to Nintendo, the Wii U's top selling titles were Nintendo Land and New Super Mario Bros. U. The former sold 2.6 million units (no doubt bolstered by its appearance as a pack-in title with the Wii U's "Deluxe Edition" iteration), while the latter sold 2.15 million units. While the 3DS handheld was more successful than its console counterpart, it too failed to meet Nintendo's initial estimates, selling only 13.95 million units (of an initially projected 15 million). This places lifetime sales of the 3DS at 31.09 million units, with 95.03 million software units sold during the gadget's lifespan. The top-selling title for the 3DS was New Super Mario Bros. 2, which Nintendo claims sold a respectable 6.42 million copies globally over the course of the past fiscal year. Looking ahead, Nintendo offers conservative estimates of how well the Wii U might perform during 2014. 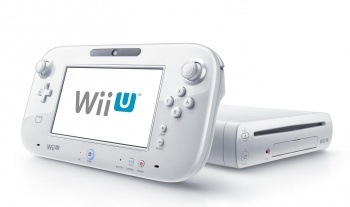 The company expects to move 9 million Wii U consoles during the next fiscal year, as well as 18 million 3DS handhelds. Nintendo expects profits to increase during the next year, and has estimated total net profits of $553 million.